Need something to spice up your wedding? Do you have everything ready but feel like something is just “missing?”That’s because you haven’t added lights to your wedding. 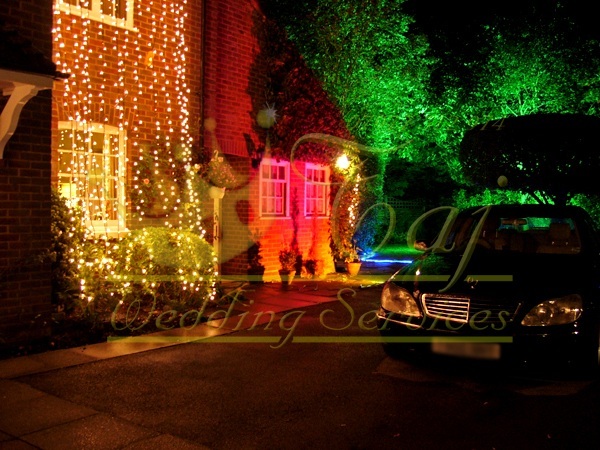 Our lights can transform a boring or unoriginal decor into something truly stunning and memorable for all of your guests. With our lights, your wedding will transform into a spectacular event that is worthy of your special wedding day. Taj wedding services can make any wedding great. 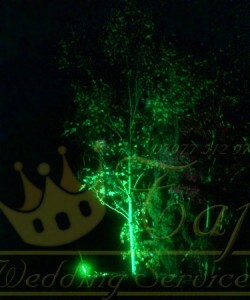 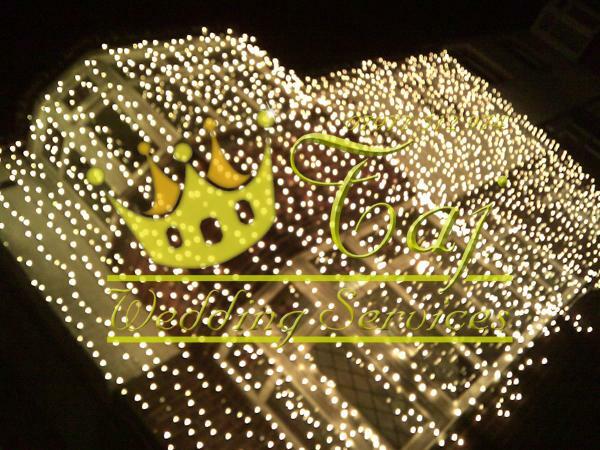 We have a multitudes of light that will fit any theme or wedding event. We actually enjoy events that require a special requirement. 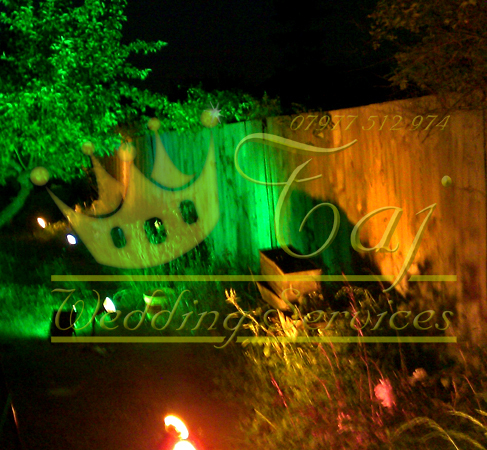 If you have a unique event, call us, and we can discuss options. 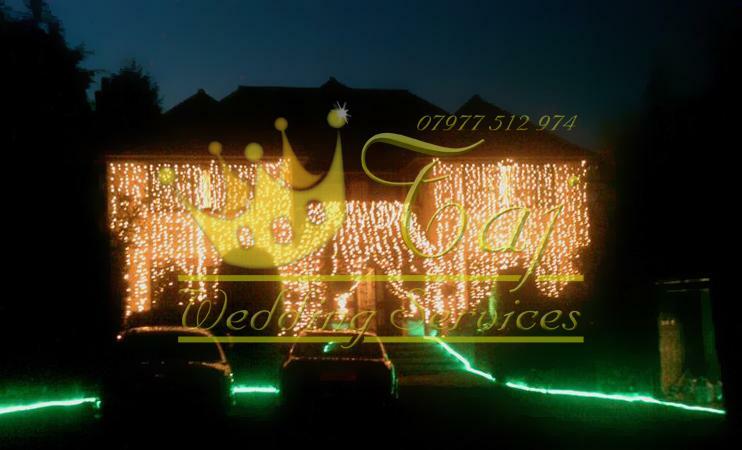 We will make sure your event is special. 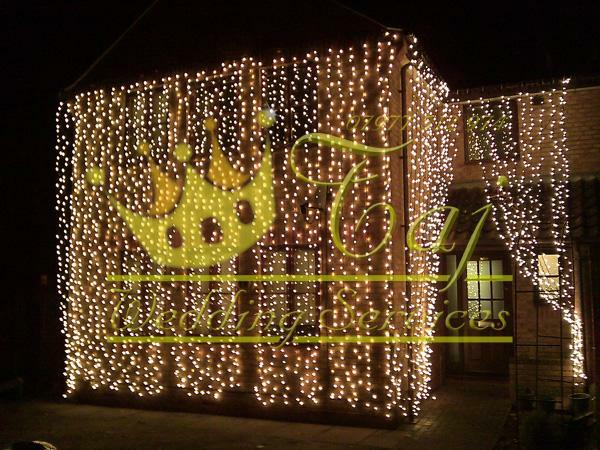 We can even manufacture items specifically for your event! 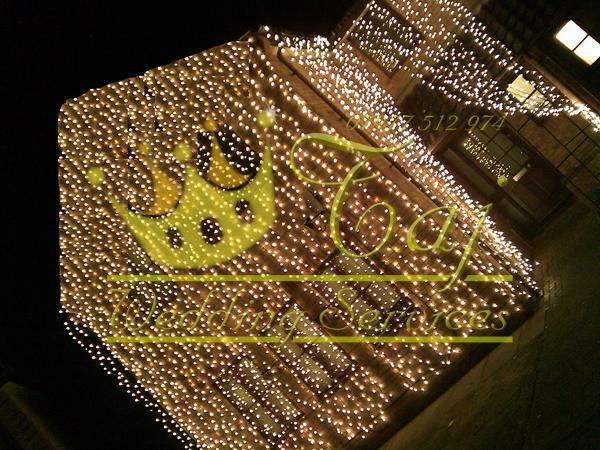 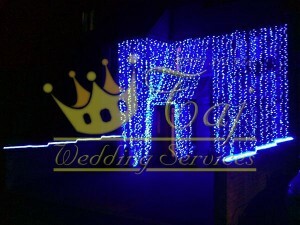 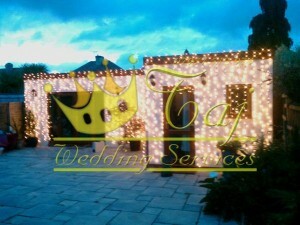 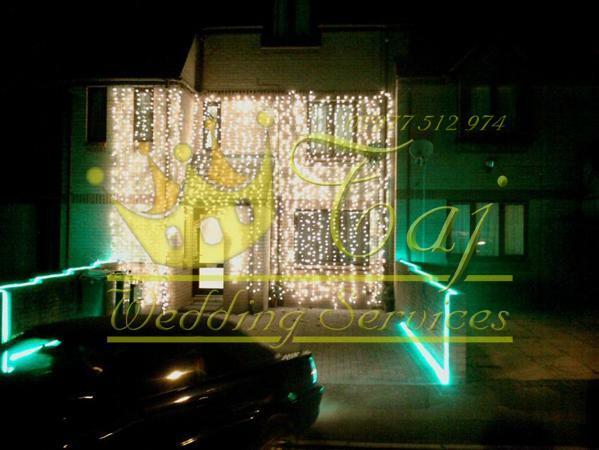 In addition to providing the lights for your wedding event, we also install and remove them. 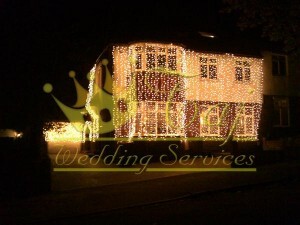 Both processes are very simple and will be done quickly and professionally by our passionate employees. 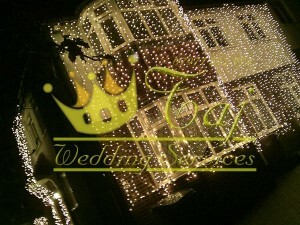 Our lights can truly change any wedding event from boring to stunning. 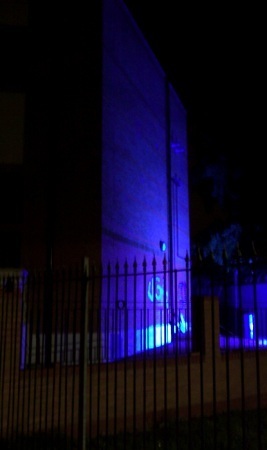 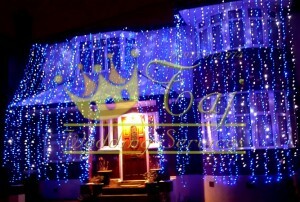 To further create a festive spirit, we even have LED lights in both blue and white. These colors are unique and really separate your wedding event from the rest of the pack. Guests are often stunned at how beautiful the lights look and are impressed by the unique atmosphere. 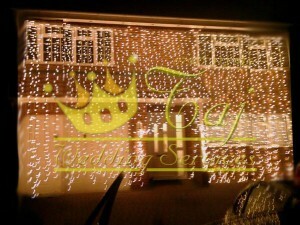 All of our lights are great quality. 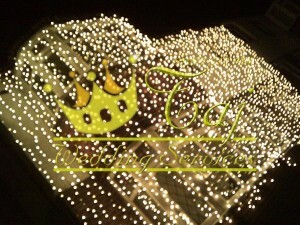 Other companies provide cheap lights that don’t live up to our high quality standards. 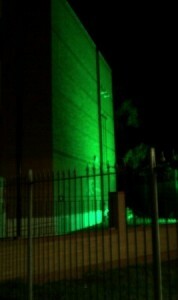 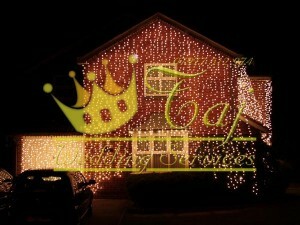 In addition, our lights are very durable. You won’t have problems with any of the bulbs breaking. 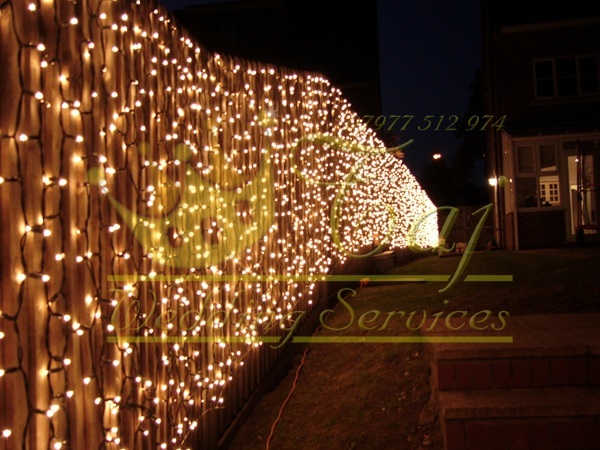 Our workers work hard to ensure that the installation and removal process goes smoothly. 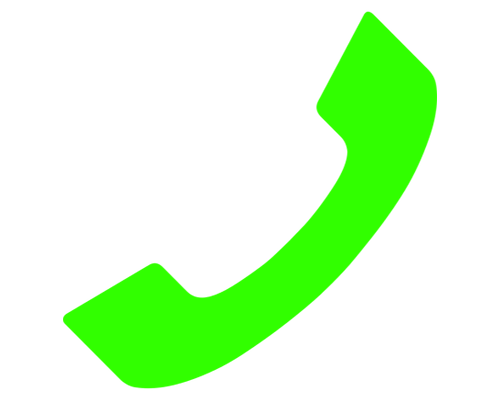 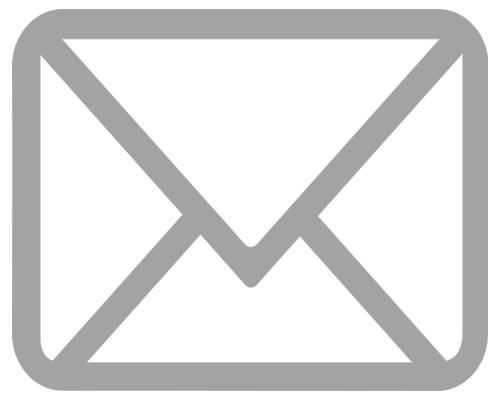 They are also very friendly and go the extra mile to ensure that all of our clients are happy and recommend us to their friends. 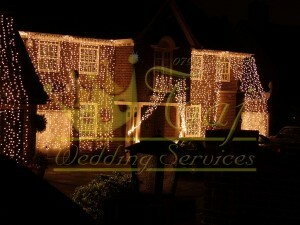 Many clients report that their guests ask about the lights and how they can get a similar service for their weddings. 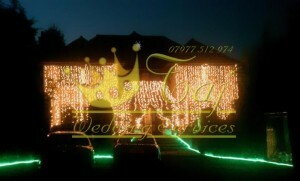 We are always humbled and grateful by how much our customers enjoy our service. 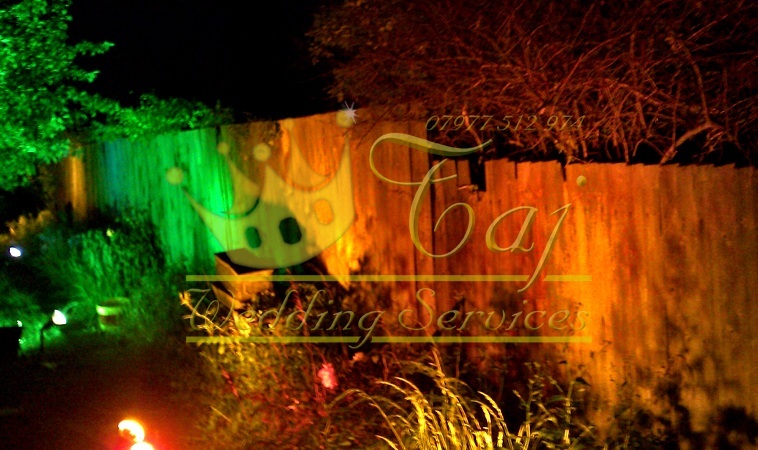 We can cater to all different kinds of events. Whether you are hosting a small budget event or a huge commercial one, we will provide a great service that you will love. To get started, simply email or call is and describe your event. We will work with you in order to ensure that we provide the best service possible. We can’t wait to start working with you. 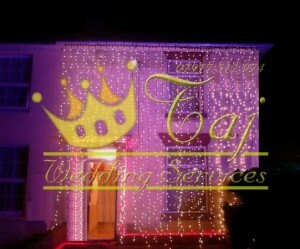 Give us a call or email us now! 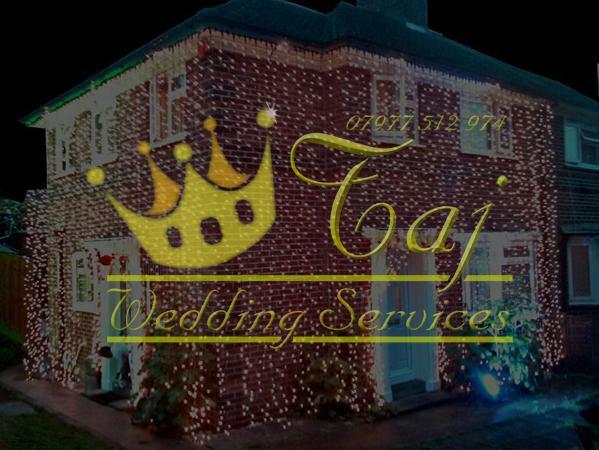 With years of experience Taj Wedding Services (TWS) can transform any party or wedding event into something really memorable. We have a huge stock of lights & provide a full hire service (installation & removal). 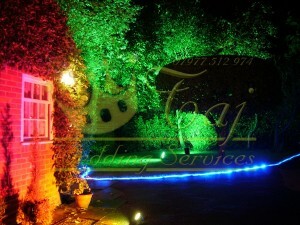 We offer a range of lighting to suit your event or theme. 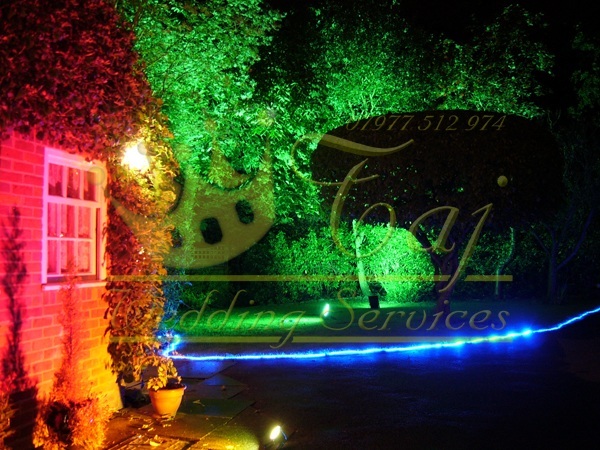 If you have a special requirement, just call to discuss- we can even have specific items manufactured just for your event. 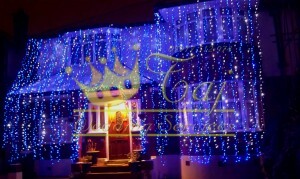 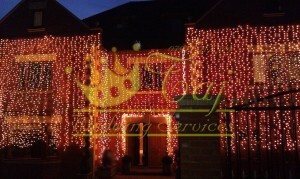 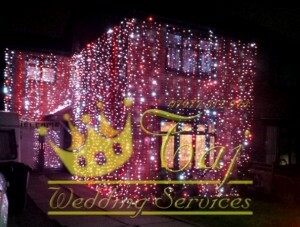 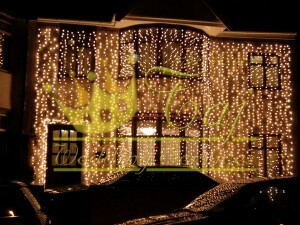 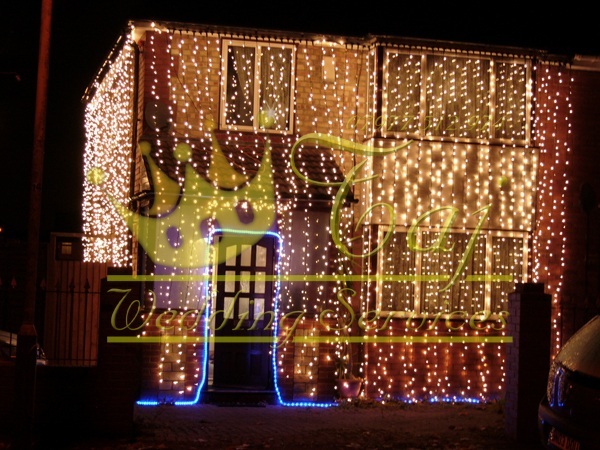 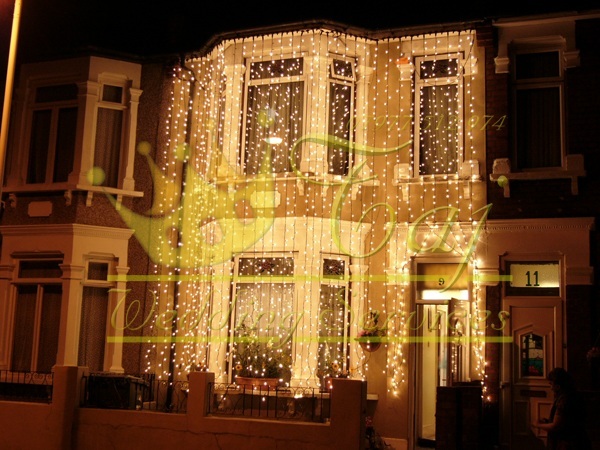 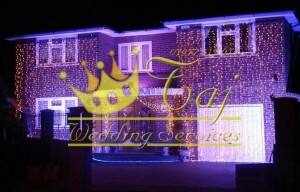 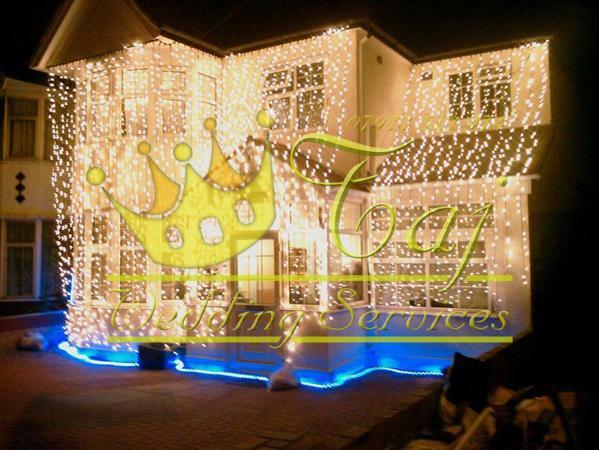 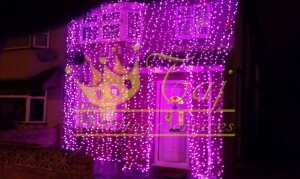 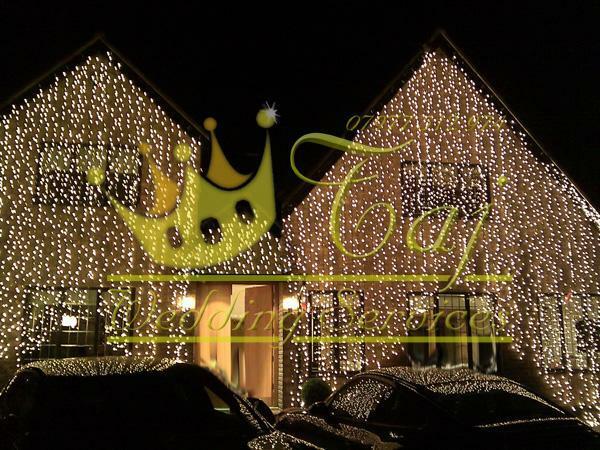 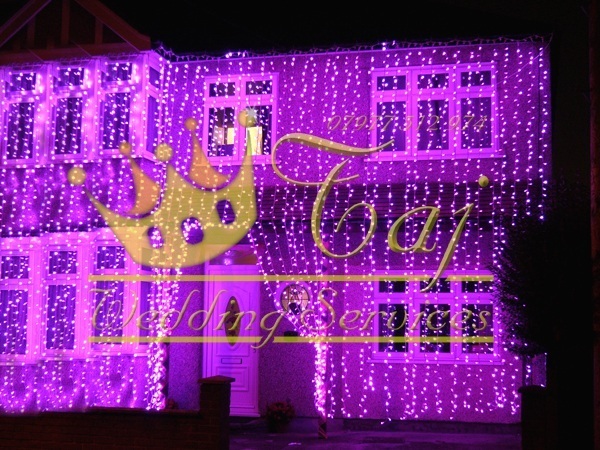 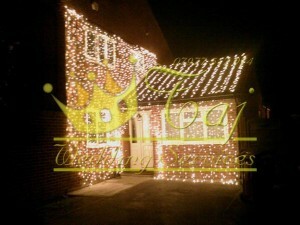 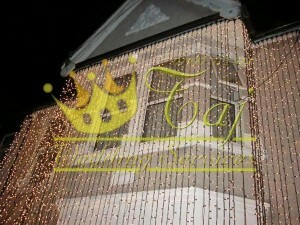 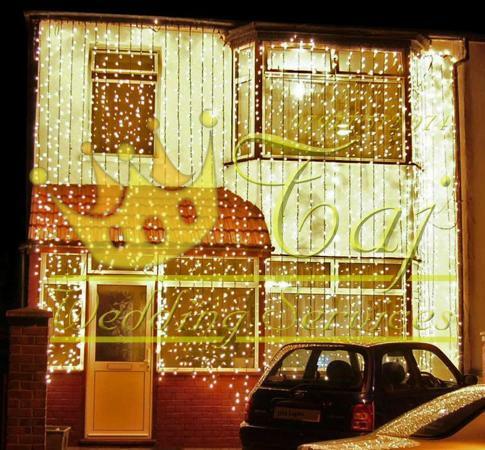 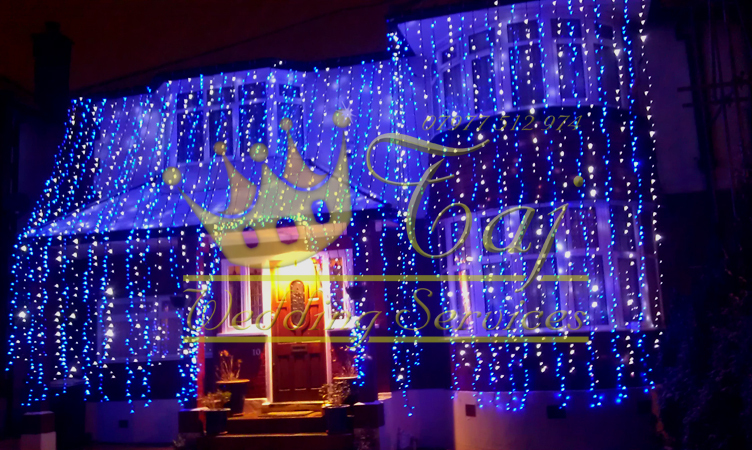 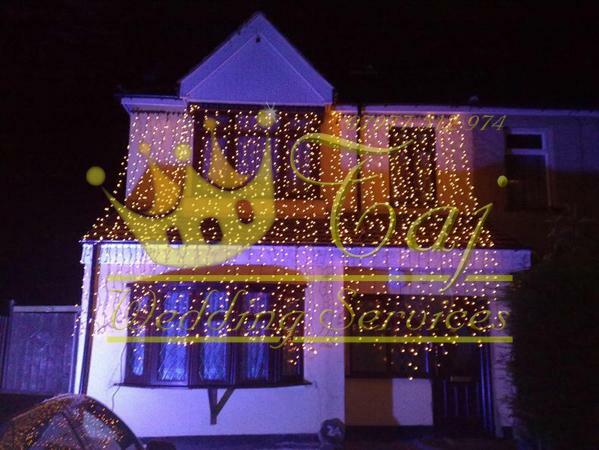 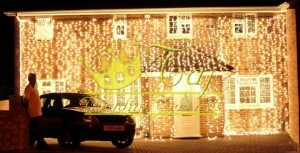 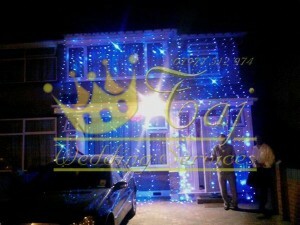 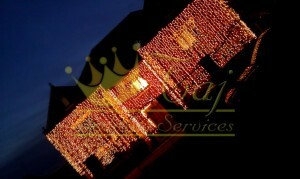 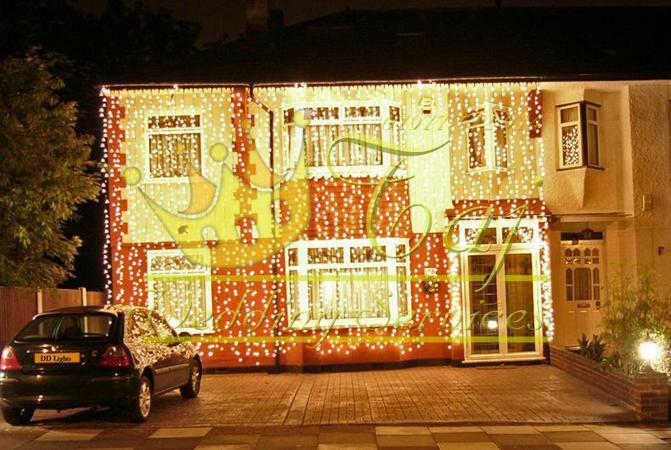 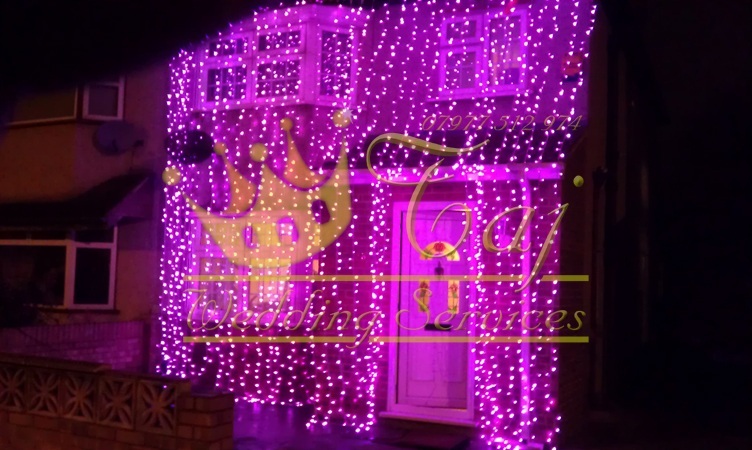 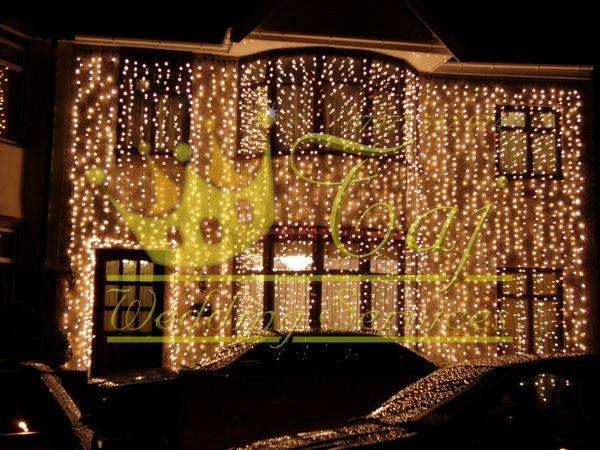 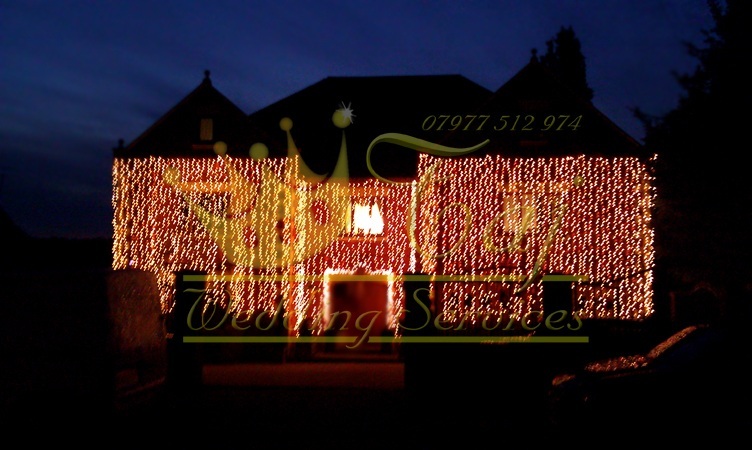 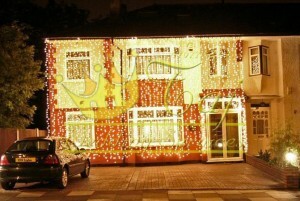 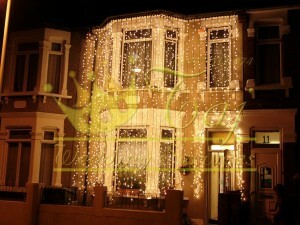 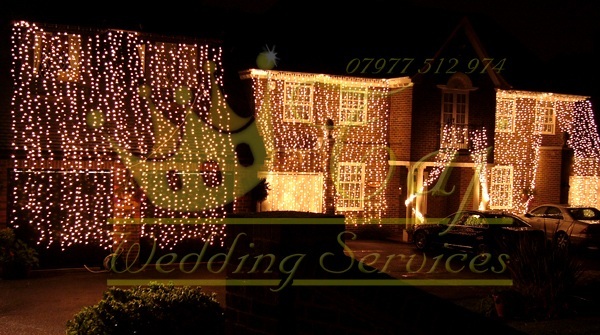 Our house lighting decorations can make a spectacular change to your house, in preparation for that big special day. 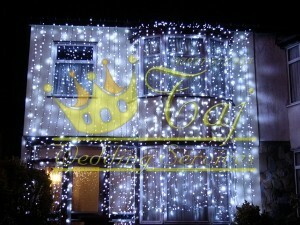 We have various high-resistant LED lighting in blue and white, that really add to the festive spirit. 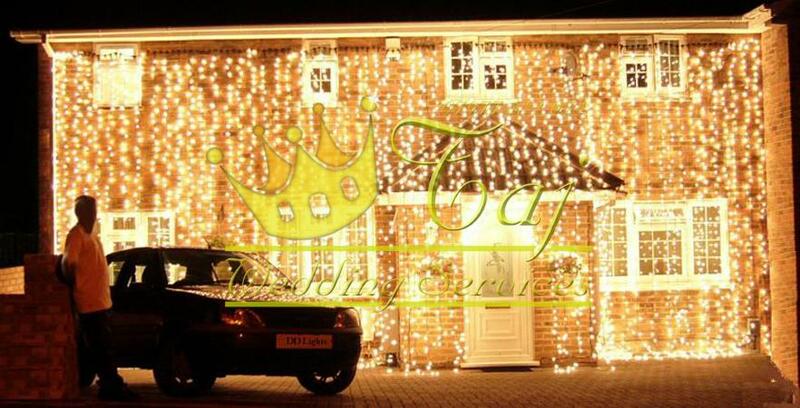 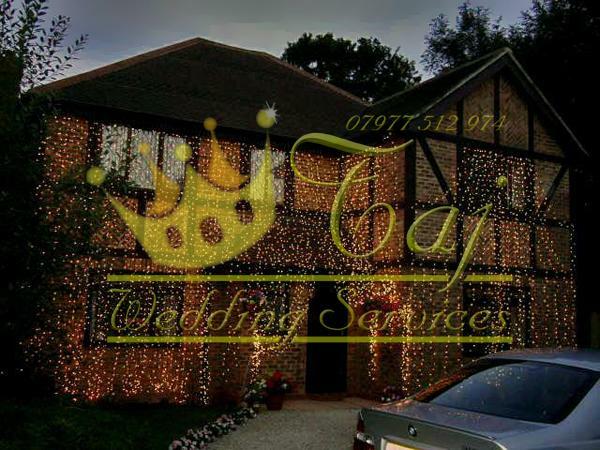 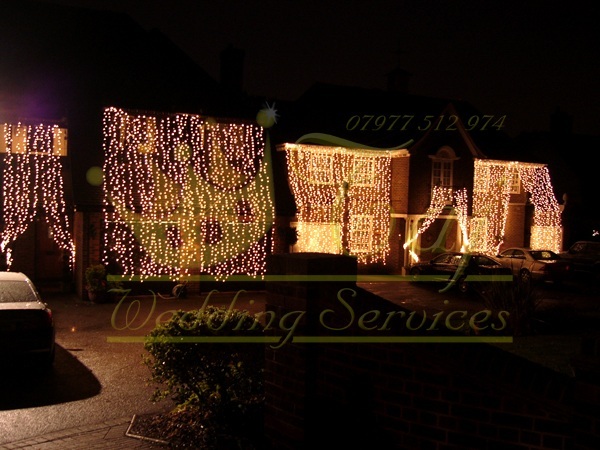 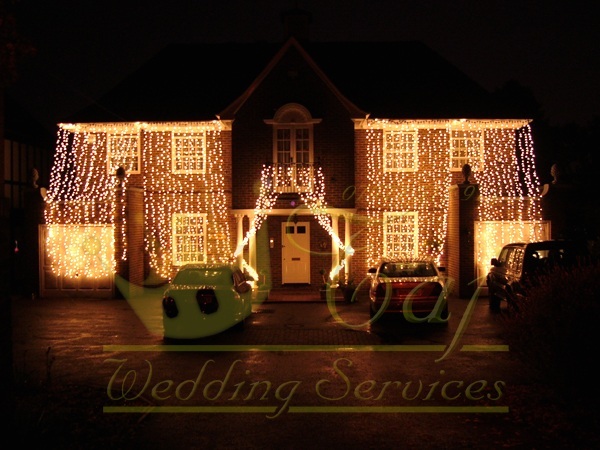 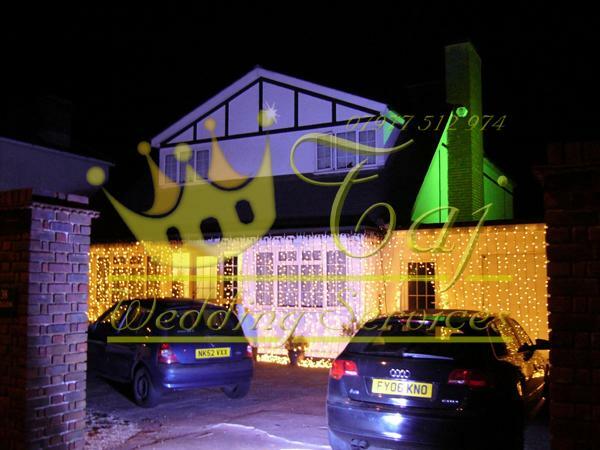 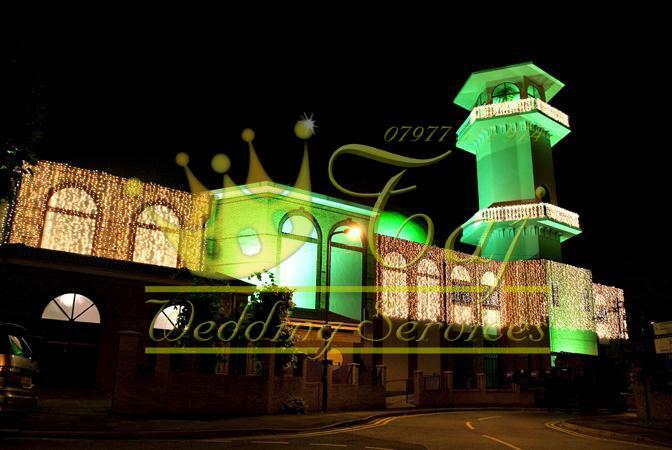 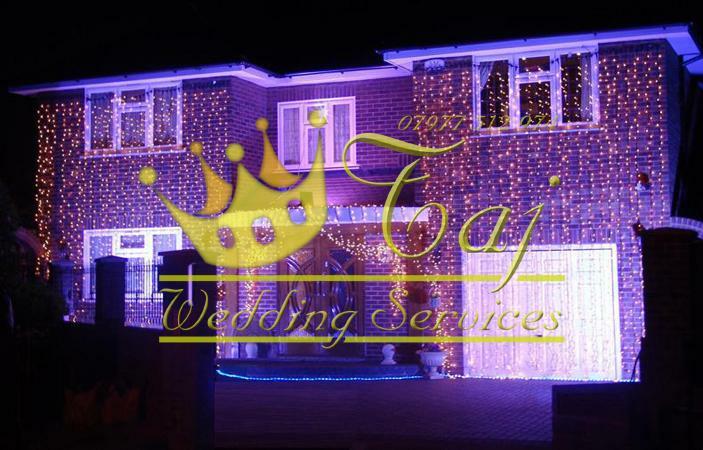 Most Asians, especially Indians & Pakistanis decorate the exterior face of the Wedding House with Drape Lights during their event, which is seen as a warm welcome for their guests & creates a brilliant festive atmosphere. 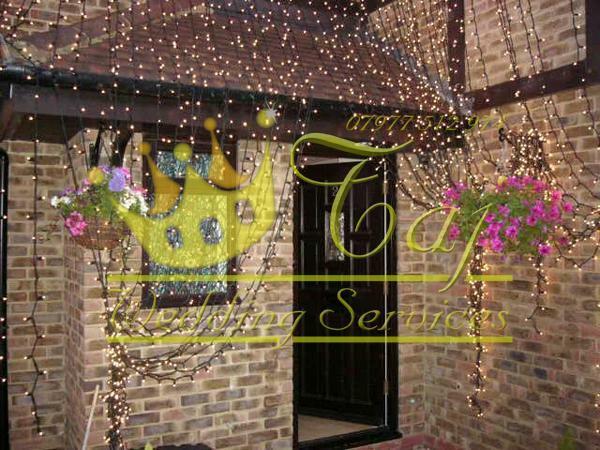 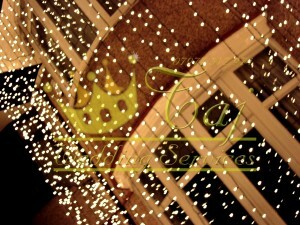 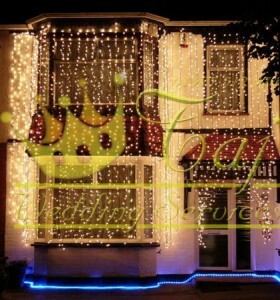 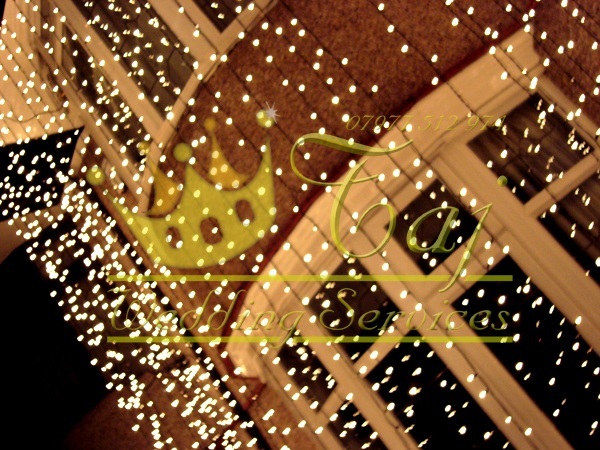 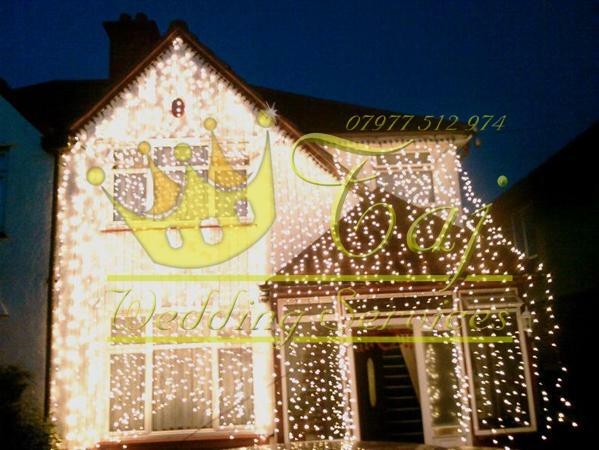 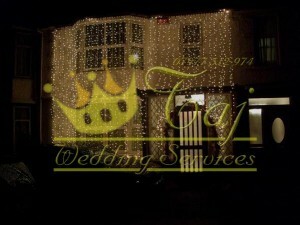 Our Wedding House Lights are super commercial quality & produce the perfect results. 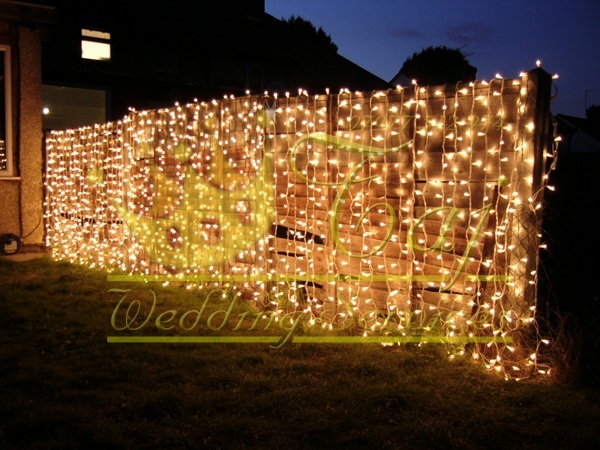 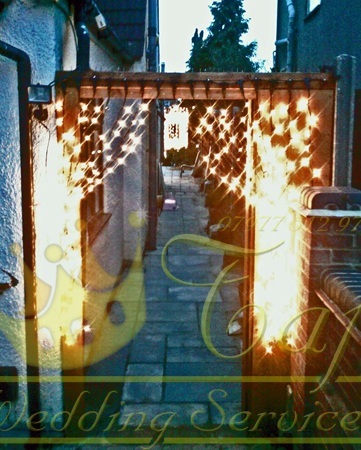 We provide a complete range of beautiful white and warm white twinkling asian wedding lights. 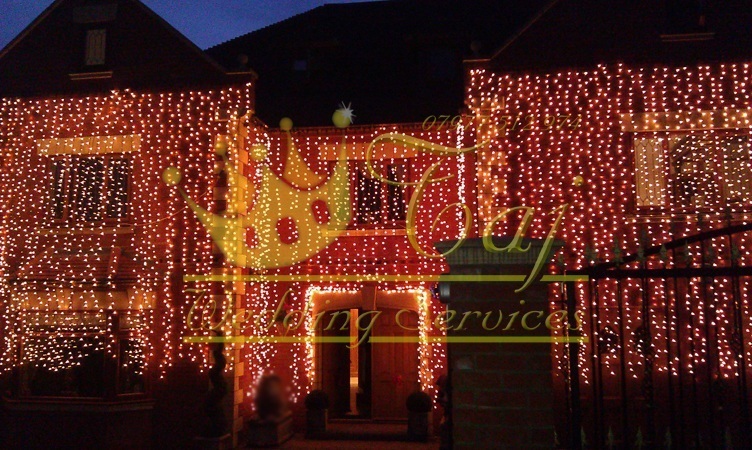 We can cater for small budget events to commercial scale events – just email your enquiry or call to discuss your requirements. Lighting is one of the most vital aspects of any kind of wedding and it can literally make or completely mar the entire feel of any wedding event. 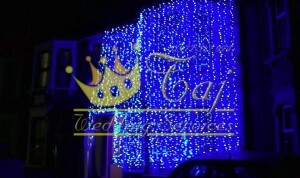 We are one of the most trusted and reliable team that is here to work on your wedding lights and enhance the entire setup and make it look more convincing. 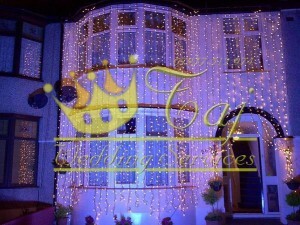 It’s all about making it look gorgeous and beautiful through the softness of the wedding lights! 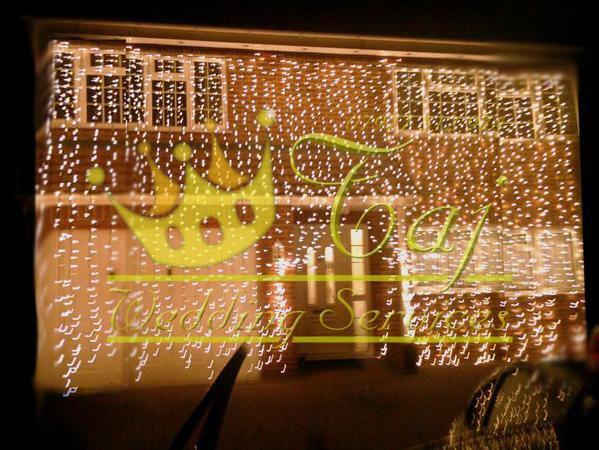 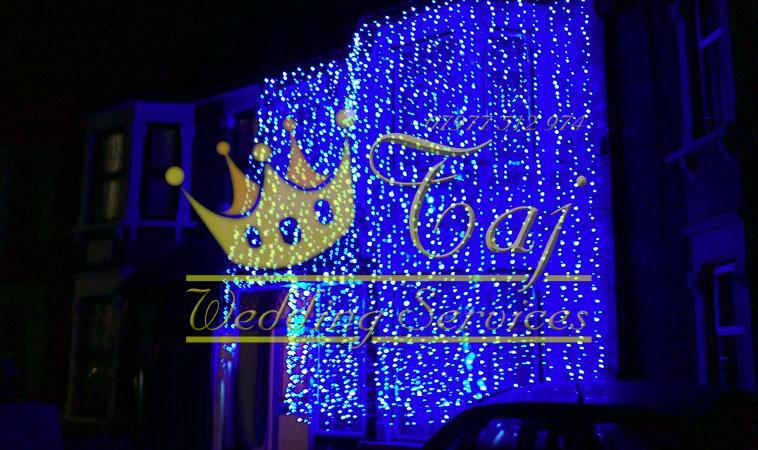 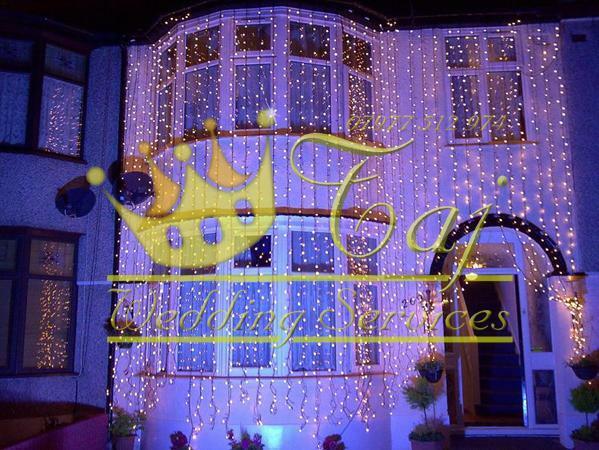 We, at taj wedding services also ensure that we have put the right lighting source into use so that it can contribute to the fantasy feel of the wedding. Our focus is on making your wedding parties and reception gatherings the most memorable day of your life. We understand the technicalities of the wedding lights and know what it takes to arrange such special days with the brightest but the most beautiful and even soothing wedding lights. 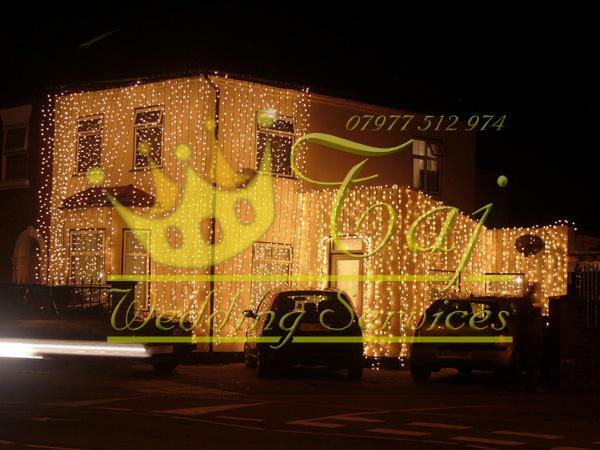 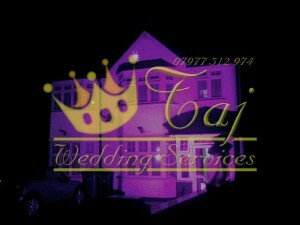 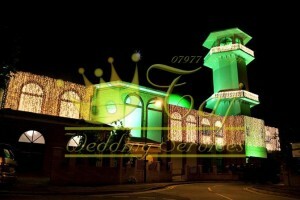 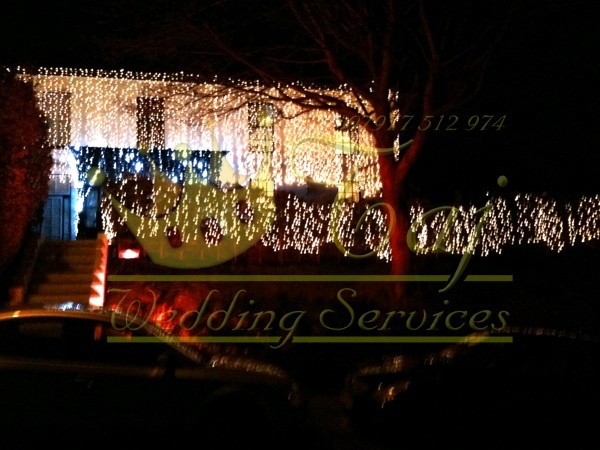 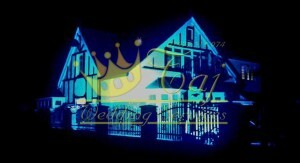 Our wedding lights also make your wedding photographs worth having a look at. 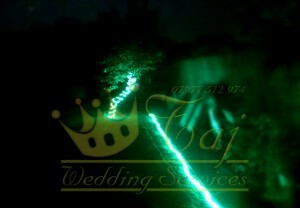 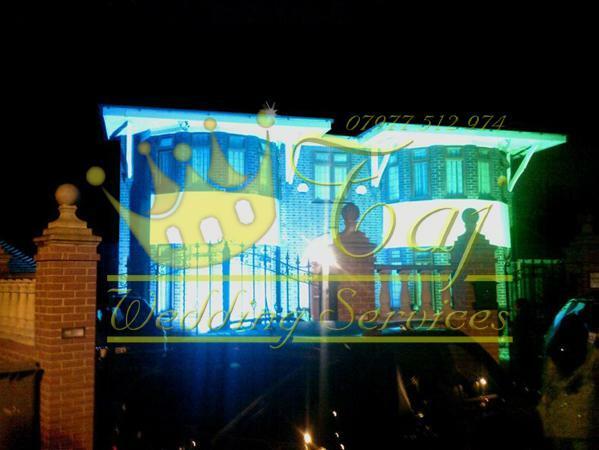 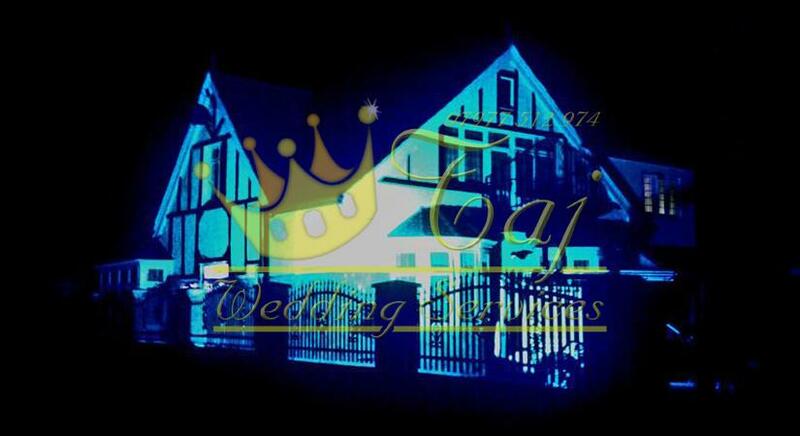 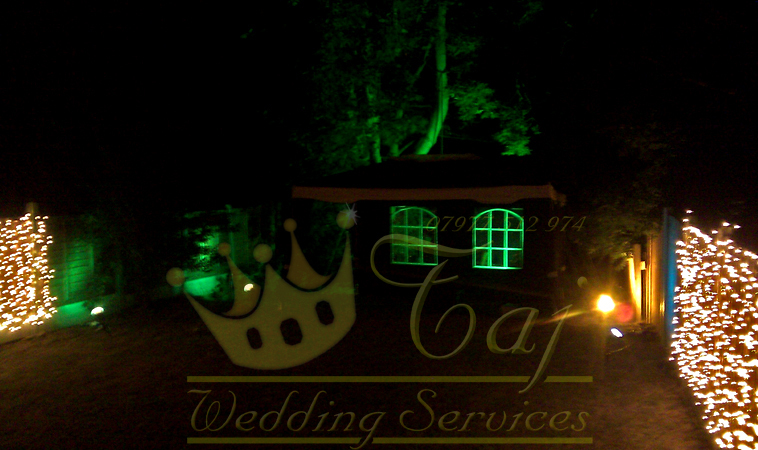 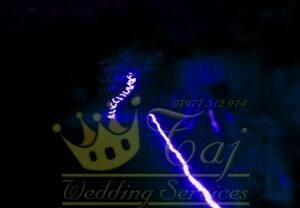 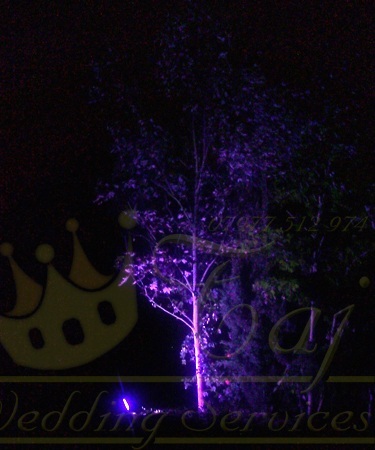 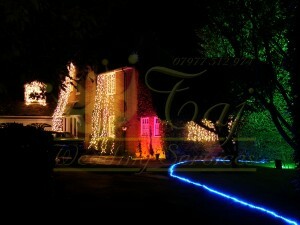 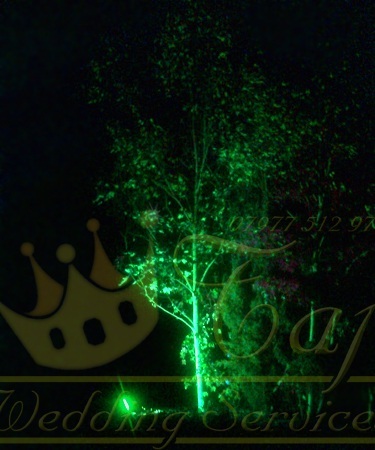 We also take care in using special lights that are designed to put a focus on the bride and the groom. 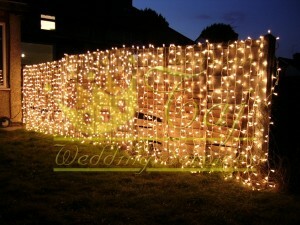 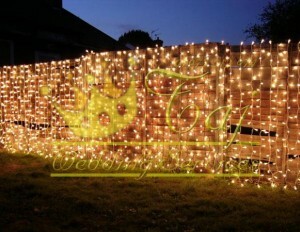 Our wedding lights also create a good feel with the backdrop and that’s not left out at all. We put a lot of zeal into even the minute details and all this makes us different from the other wedding lights and services providers. 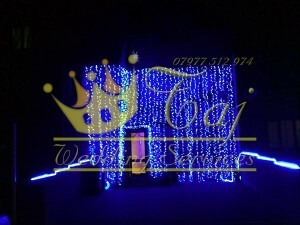 We differentiate well between the soft and the harsh lights and ensure that you have got nothing but the best from us. Safety and security are our major concerns and we don’t compromise on that. We discuss the details of our preferences with you much before we start working on the project. 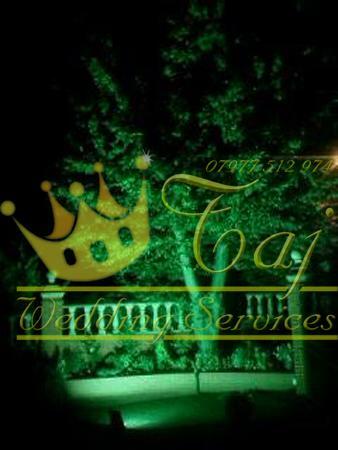 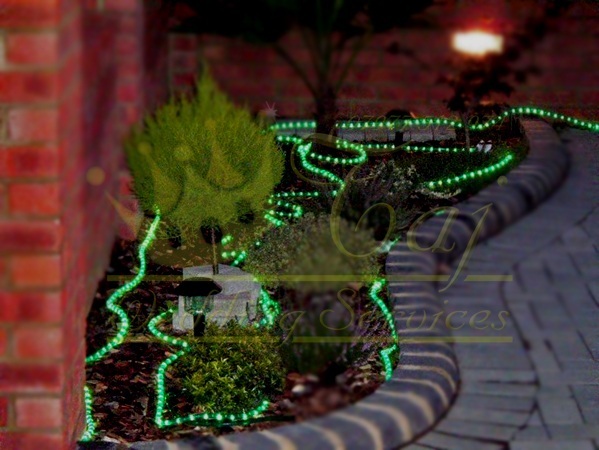 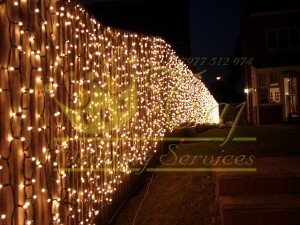 We also employ the best professionals who can put the best lighting on the way or path. You will be simply amazed at the manner in which we light the way to the wedding location or the reception area. 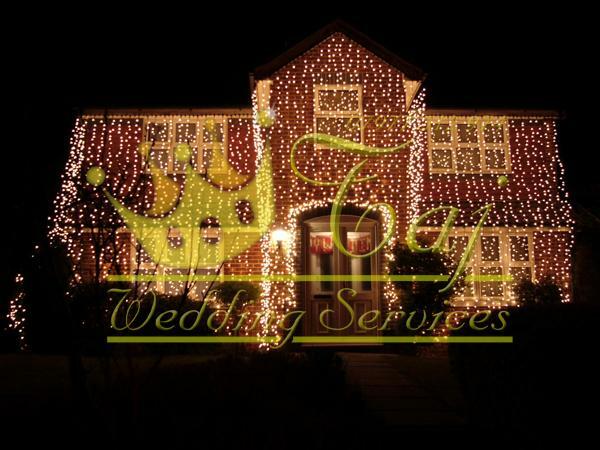 If you want to give it a romantic feel, you will find us come up with the fresh and latest ideas on the use of wedding lights. 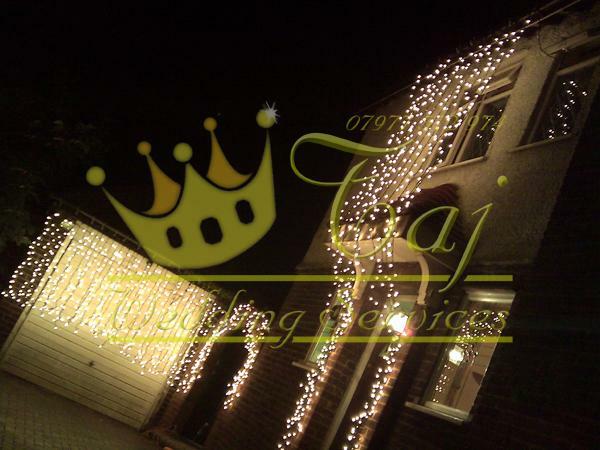 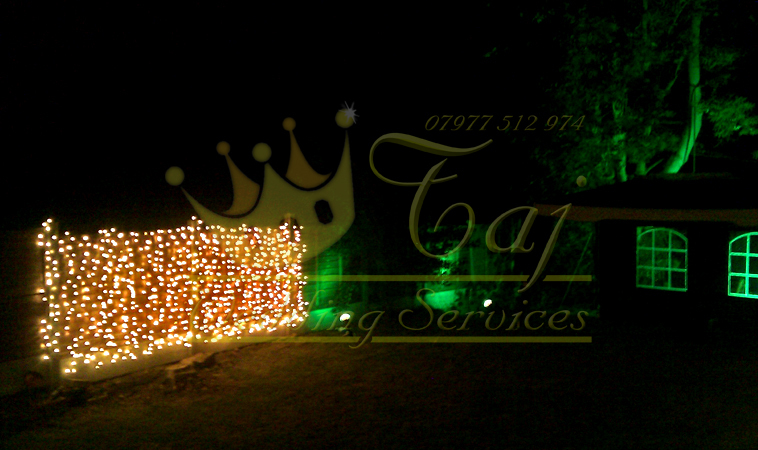 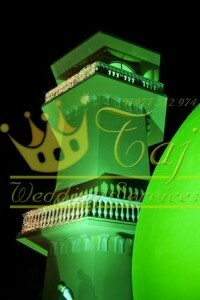 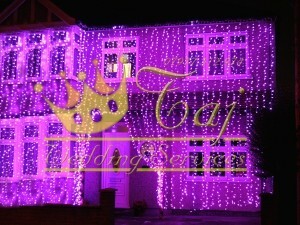 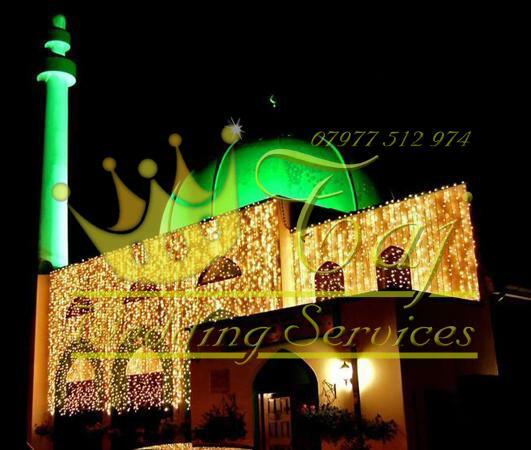 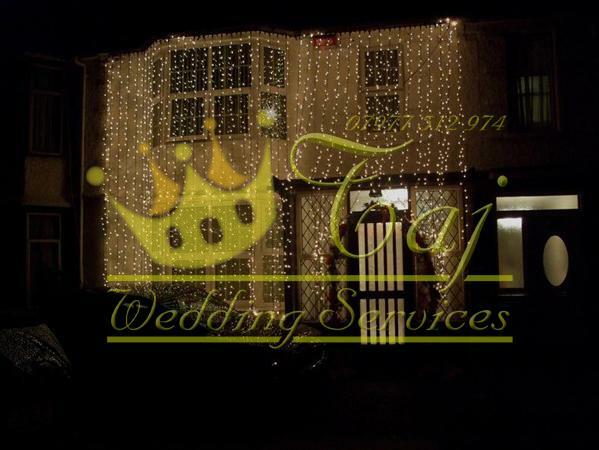 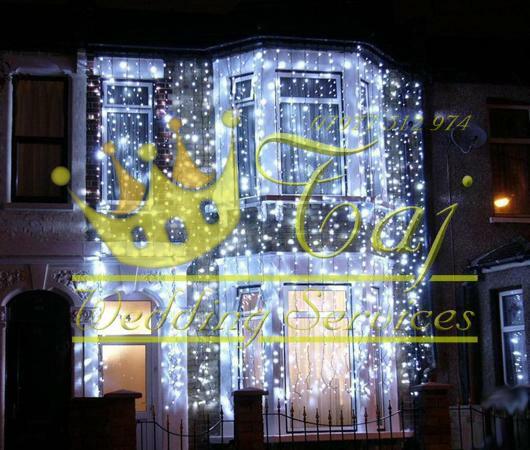 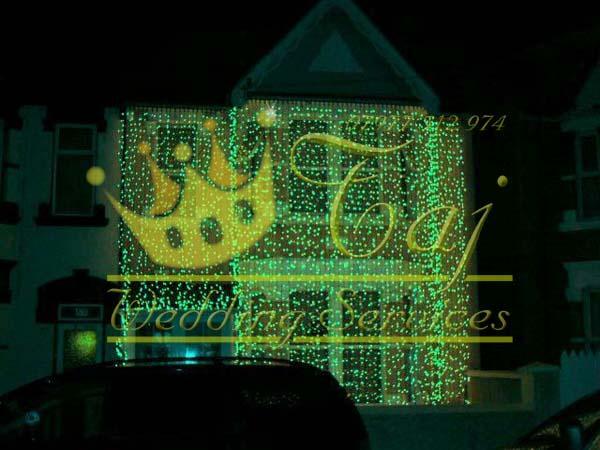 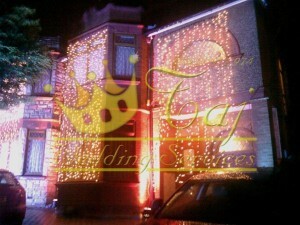 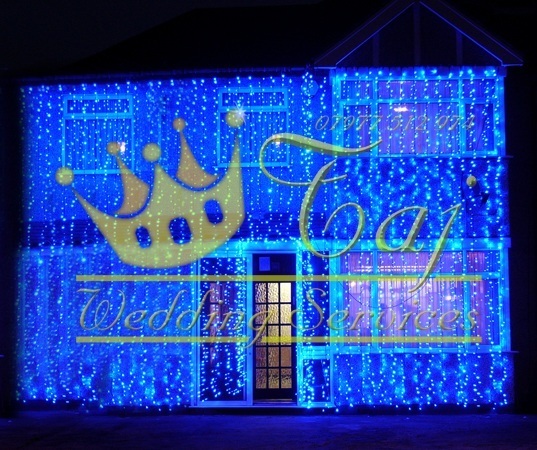 Our taj wedding services offer wedding lights that are also suitable for a themed wedding party. 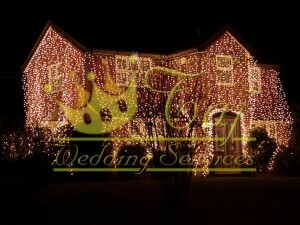 Use of proper and suitable lighting is what makes wedding lights worth the attention it deserves. 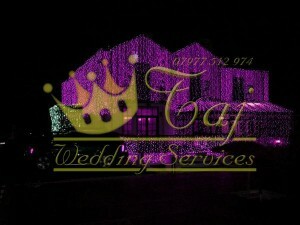 Weddings are special moments and memorable events and you can’t just get it wrong with the lighting. 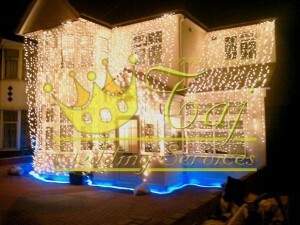 We also put efforts to cut short your costs so that you can enjoy your wedding in style.